Cameroun 259/274 set-7,MNH dry gum. Mandara woman,Taping rubber tree,Elephants. 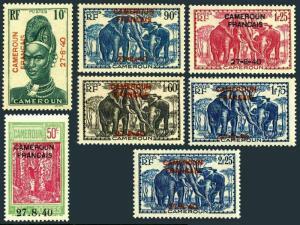 Cameroun 259, 264, 269, 272-274, MNH dry gum. 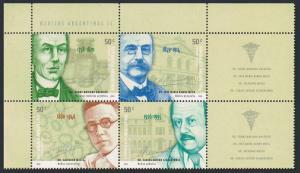 Michel 177, 187/203. 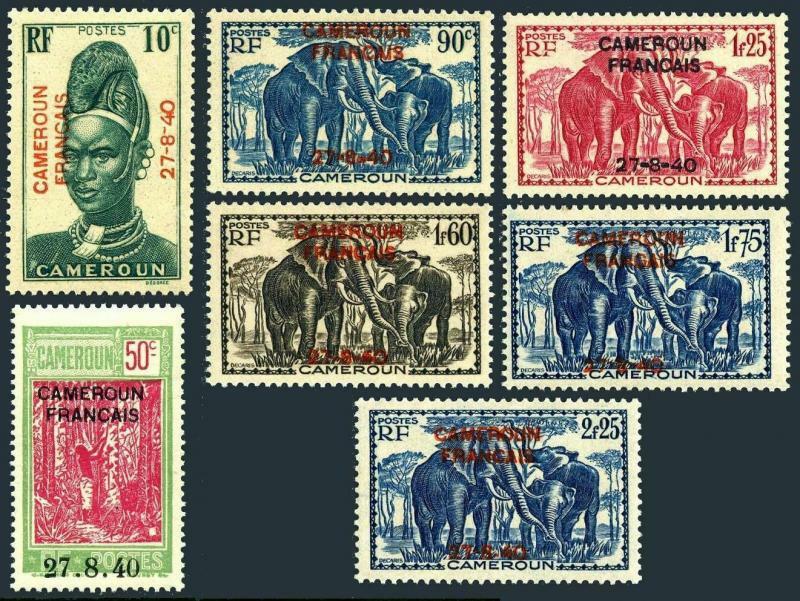 Overprinted CAMEROUN FRANCAIS 27.8.40, 1940. Mandara woman, Taping rubber tree, Elephants. Blocks of 4 - buy 4 sets. $0.05 shipping for each additional eligible item you buy . For domestic purchases up to $60.00 first class mail will be used; purchases above $60.00 require mail with tracking number or insured mail (buyer pays the mail fee). For international purchases up to $60.00 first class international airmail will be used; purchases over $60.00 require mail with tracking number (registered mail, buyer pays the $19.00 or $20.00 for oversize item). Warning for the buyers from Eastern European countries, Russia, China, Middle East, South Asia, Latin America, Africa exclude RSA, and the buyers with Hip ID less 100: the purchases over $30.00 require expedited mail. 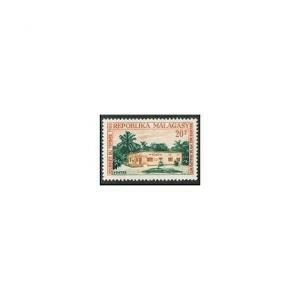 Malagasy 366 two stamps,MNH.Michel 533. Stamp Day 1965.PTT receiving station. 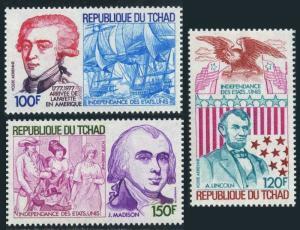 Ivory Coast C16,MNH.Michel 209. 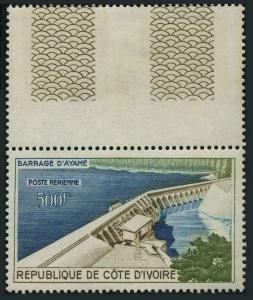 Air 1959.Ayame Dam.